You are here: Home / Hair Care / How Hairdos can be Healthy? How Hairdos can be Healthy? The hair play a very critical role in a person’s appearance and this is the reason that makes many people take the time to work on their hair as much as possible. The good news is that there are professionals that can be consulted to offer these services. When it comes to hairdos, there is the need to make sure that they are done in a manner that is healthy. If this is not done, the hair and scalp gets ruined and this affects one’s appearance negatively. There are certain products that are used during every hairdo. What needs to be understood as far as the products are concerned is that they are designed for use with very specific hair and scalp types. 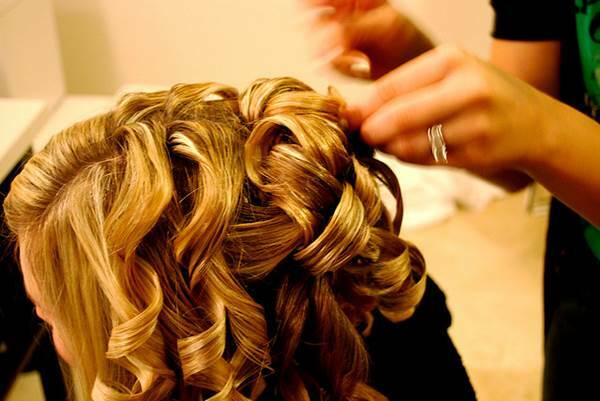 This means that making a mistake in the products to use will have a negative effect on the hair. It is therefore important that one takes the time to talk to a hair care professional who can accurately tell them their hair and scalp type and the best products to use. This will lead to healthy hairdos. There are some people that have the idea that the more frequently they have hairdos the better for them. This is actually not true in any way and actually the opposite is true. Frequent hairdos overburden and overwork the scalp and hair and this is unhealthy for both. Hair should be styled in such a way that it will remain in good condition for a few days without having to visit the salon. To make sure that one’s hairdos are healthy, they should be well scheduled. The other tip that, when used, will lead to very healthy hairdos is always letting a professional work on the hair. There are many businesses that offer hairdo services but this does not mean that one should go to the nearest one for hair care services. It is of utmost importance that research is carried out to ascertain that that hair stylist is a professional who is trained, certified and experienced in what he/she does. This will mean that he will use the right products and equipment in the right way. The end result of this is a healthy hairdo every time, hence an advantage. Lastly, there are various guidelines that have been put in place as far as hair care is concerned. These guidelines are not for fun as they play a role in the protection of the hair. When a hair care professional sets some guidelines on how to care for the hair at home, they should be followed without fail and this will make the scalp and hair ready for the next hairdo, hence making it healthy. Healthy hairdos are easy to attain and they save so much time that one can have them done and have enough time to check if their EHIC application has gone through. Being deliberate about hair care is critical as far as achieving this is concerned.